Unparalleled privacy abounds with this masterfully designed estate situated in one of Charlotte’s most desirable SouthPark enclaves, Pellyn Wood. Perched amidst nearly 5 lush acres with formal gardens, walking trails, pavilion with fireplace, tennis/basketball court & resort salt water pool. This Edwin Lutyens – English inspired gated manor features chef’s kitchen with butler’s pantry, walnut paneled library & owner’s retreat with private terrace. Lower level includes wine cellar, billiard area, media & exercise rooms. Upper bonus room can be a 5th bedroom, plus a spacious unfinished/heated & cooled area adjacent to one of the upper bedrooms can be finished to a living area and secondary full bath. The estate is completely fenced with two gates. Please, send me more information on this property: MLS# 3254980 – $4,500,000 – 2019 Craigmore Drive, Charlotte, NC 28226. 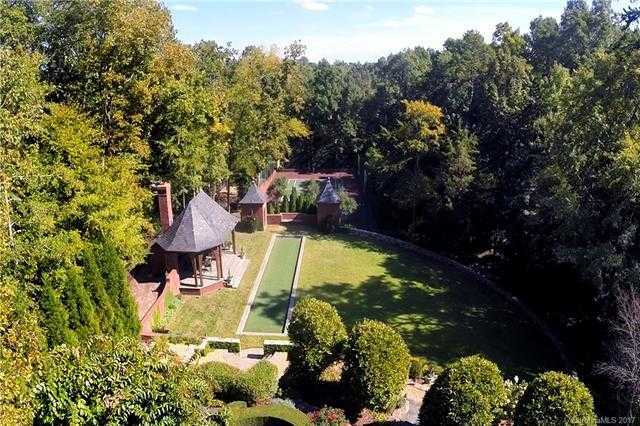 I would like to schedule a showing appointment for this property: MLS# 3254980 – $4,500,000 – 2019 Craigmore Drive, Charlotte, NC 28226.